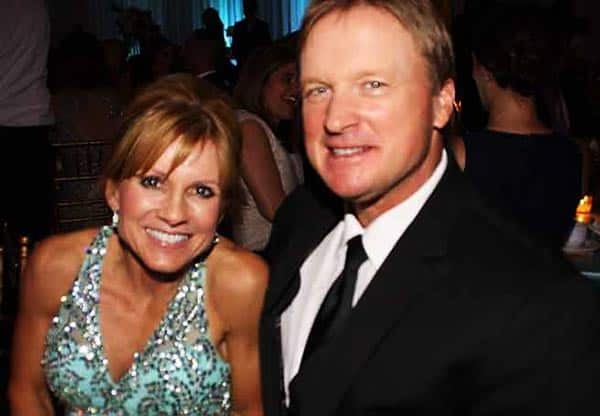 Jon Gruden Is Married to Wife Cindy Gruden. Jon Gruden Net Worth, Salary, And Age. Jon first made his name through college football when he played as the backup quarterback at the University of Dayton. However, he didn’t make much progress since the team rarely used in the starting line up all the way to his graduation. His light started to shine after graduation when he got hired as the assistant coach for the University of Tennessee. This move spiraled into a few coaching gigs at Southeast Missouri State, University of Pacific and finally at the University of Pittsburgh. Jon’s first professional job was in the same team he is heading now, The Oakland Raiders. His contract then wasn’t as defined as it is now in that it lasted for only one season. Nevertheless, he guided the team all the way to the AFC championships but lost to Baltimore Ravens 16-3 who won the Super Bowl. He later moved over to coach Tampa Bay Buccaneers in 2002. Gruden had a 5-year contract signing that would see his salary at $17.5 million. It is here that he made records by becoming the youngest coach to win the Super Bowl XXXVII in 2002. He also had some of the best seasons at the team and even received another contract extension in 2008. However, when things went south for the Buccaneers, he got sacked and started The Fired Football Coaches Association. ESPN later contacted him for a gig as their color analyst which he worked from 2009 until his return to coach Oakland Raiders in January 2018. The love between Jon and his wife, Cindy Gruden ensued a couple of years ago when he was still hustling. The lovers met during his tenure at the University of Tennessee where Cindy was the cheerleader. So what do you do when you have nothing to offer to the girl of your dreams? You give her the world; figuratively of course. Gruden had made her a promise that he wouldn’t marry her unless he got a permanent coaching job. As soon as he did, he got her an $1800 ring which was the only money separating him from poverty. The couple got married on July 6th, 1991 and had remained united for the longest time to this date. 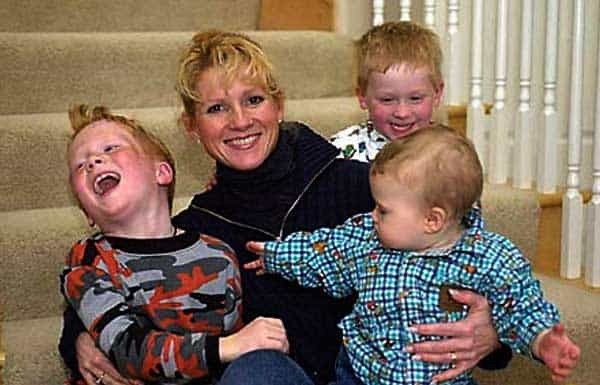 They welcomed their first born son, Deuce Gruden on January 19th, 1994. They also have other boys, Michael, and Jayson whose information has remained private up to this time. However, we do know that Deuce stepped out of his father’s shadow with the whole football thing and forged his career in Powerlifting Championships. Moreover, he won the Federation World Classic Championship held in Minsk. On the other hand, Michael is off to college at Tennessee whereas Jayson started as the QB in camp. Who is Cindy Gruden? Know her Career, Family, Biography. Before she tied the knot to the Oakland Raiders coach, the mother of three went by the name, Cindy Brooks. She was born and bred in Knoxville Tennessee where she grew up and finally enrolled at the said University where she met Gruden. Her folks were also natives of the same town she grew up in. Being the wife of the renowned coach indeed came with a lot of privileges. She managed the family while her husband provided. However, that doesn’t mean she had nothing to keep her busy. Cindy became engaged in some non-profit, charitable organizations like the Moffitt Cancer Center which helps out with those suffering from it. Moreover, she also got a degree in Educational Administration which helped her out as a head instructor. She was also a collegiate cheerleader and is currently an instructor in fitness and aerobics. Keeping healthy is her number one goal. Coming back to coach was undoubtedly the best decision he could have ever made. 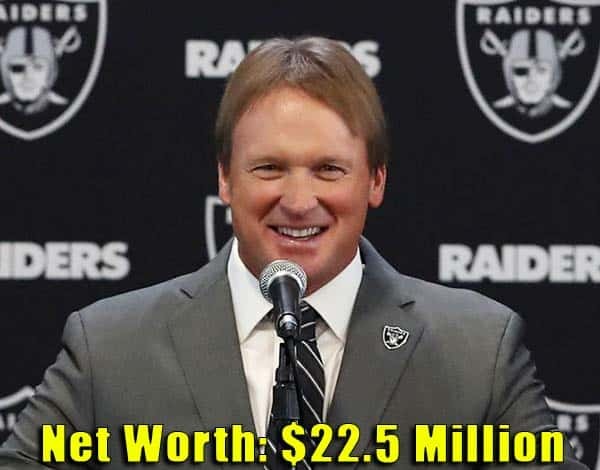 Jon Gruden’s net worth is estimated at $22.5 million which mostly comes from his line of work in sports. The most recent contract worth $100 million with the Oakland Raiders definitely will play a massive part in his net worth. On the other hand, his time in broadcasting also has a role to play in his fortune. Jon’s salary while at ESPN as their color analyst amounted to $6.5 million. According to the pay slips of ESPN’s employees, his was the highest. Gruden mostly appeared on Monday Night Football and occasionally did the live coverage of the Rose Bowl, Outback Bowl and BCS National Championship Game in 2010. Jon is a Leo and celebrates his birthday every August 17th having been born in the year 1963 in Sandusky, Ohio. Careful calculation of his age should give you about 55 years. His father, Jim Gruden was a running backs coach for the Tampa Bay Buccaneers whereas his mother, Kathy was a full-time mother. She raised Jon and his two brothers, Jay who grew up to become The Washington Redskins Coach and James who pursued a medical degree instead. Jon went to Clayton High School and later the University of Dayton for a degree in Communications which became the turning point for his success story.